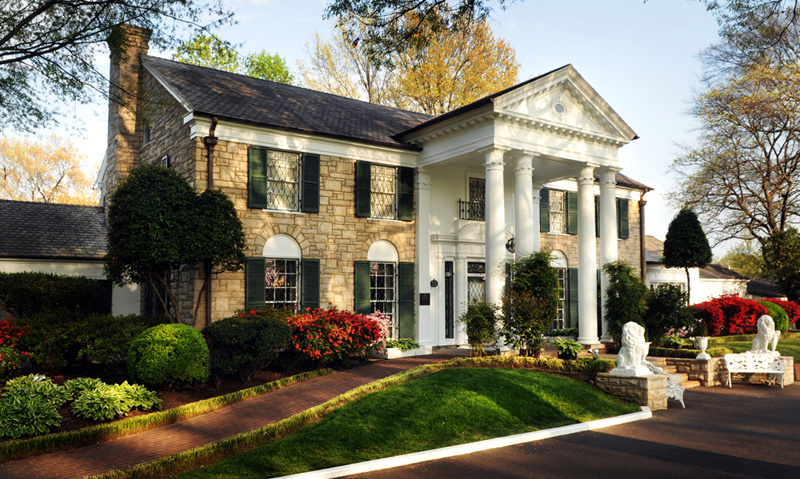 MEMPHIS, Tenn. – Music fans from around the world will travel to Elvis Presley’s Graceland® in January 2016 to celebrate the King of Rock ‘n’ Roll’s™ birthday. Numerous events are scheduled, including the Elvis Presley™ Birthday Proclamation Ceremony on Friday, January 8 at 9:30 a.m. Central Time, which includes a cake cutting ceremony on the front lawn of Graceland in Memphis. The birthday celebration at Graceland will also kick-off a year-long celebration of the 60th Anniversary of Elvis’ breakout year in music, film and television. In January 1956, Elvis’ first gold record, “Heartbreak Hotel” was released and by April had sold one million copies. He ended the year with two million-selling albums. He made his national television debut on The Dorsey Brothers’ Stage Show on CBS that same year and went on to appear on network television 11 times that year, including his legendary performances on “The Ed Sullivan Show.” He also starred in his first movie, “Love Me Tender,” and signed a seven-year film contract with Paramount Pictures. Special guest speakers at the Graceland events include Glenn Derringer who, as an 11-year-old child-prodigy pianist appeared on the Dorsey Brothers Show with Elvis in March 1956. He’ll share his memories of the man the world would later know as the King of Rock ‘n’ Roll. Also speaking will be June Juanico, who dated Elvis in 1955-1956. The Auction at Graceland will kick-off the celebration on Thursday, January 7 at 7:00 p.m. Central Time in the Graceland Archives Studio. Among the 126 authenticated artifacts consigned for auction is the legendary guitar played by Elvis during the groundbreaking Aloha from Hawaii concert televised worldwide via satellite in 1973, and also played by Elvis at over 100 other live performances from 1971 through 1975. This Gibson Ebony Dove guitar, with an estimate of $300,000 to $500,000, has never been up for auction before and is one of the most culturally-significant and celebrated guitars in music history. Other artifacts up for auction include a 1958 handwritten two-page letter Elvis wrote to his friend Alan Fortas while he was stationed in Germany, estimated between $30,000 – $50,000, and the gold-toned microphone & cord used on stage by Elvis at the International Hotel in 1969, estimated between $10,000 – $15,000. Every artifact is authenticated by Graceland Authenticated, LLC. Register to bid online at GracelandAuctions.com. All of the items in the auction will be offered from third-party collectors and none of the items will come from the treasured Graceland Archives. The mansion and all artifacts in the Graceland Archives continue to be owned by Lisa Marie Presley and are not for sale. Graceland’s new Hollywood VIP exhibit, “Elvis in Hollywood: From Teen Idol to Leading Man,” will open on Thursday, January 7 and continue the 60th anniversary celebration by highlighting Elvis Presley’s time on the silver screen. The exhibit will feature artifacts from Hollywood blockbusters such as “Love Me Tender” (1956), “Loving You” (1957) and “Viva Las Vegas” (1964) to tell the story of how Elvis transitioned from groundbreaking music artist to Hollywood’s highest-paid actor. Additional artifacts include wardrobe, personal scripts (featuring his own handwritten notes), rare behind-the-scenes photos, and a variety of other Elvis movie memorabilia. Other activities celebrating the birthday include the Memphis Symphony Orchestra with singer/musician/song writer Terry Mike Jeffrey and his band performing a Pops concert titled “Love Me Tender: The Great Elvis Love Songs” on Saturday, January 9 at the Cannon Center in Memphis. For more information on the birthday celebration events, new exhibit and auction, please visit www.graceland.com or call 901.332.3322.